Published on 20 November 2015, by M. Tomazy. On November 13, Paris witnessed series of coordinated terrorist attacks started with suicide bombings at 09:20 pm, outside the Stade de France in Saint-Denis, the northern suburb of Paris. ISIS claimed responsibility for the attacks and French president François Hollande announced that "France is in war". CIA Director: Co-ordinated attacks in Paris suggests "sophisticated operation", CIA director said. Iraqi intelligence sent a dispatch saying the group's leader, Abu Bakr al-Baghdadi, had ordered an attack on coalition countries fighting against them in Iraq and Syria, as well as on Iran and Russia, through bombings or other attacks in the days ahead. So the French intelligence had been informed about immediate terrorist attacks in France. Perhaps the French Home security did not take that seriously or there was failure of performance on the ground. However, French-born Israeli journalist says Jewish community has been on alert for months amid fears of mass terror attack. 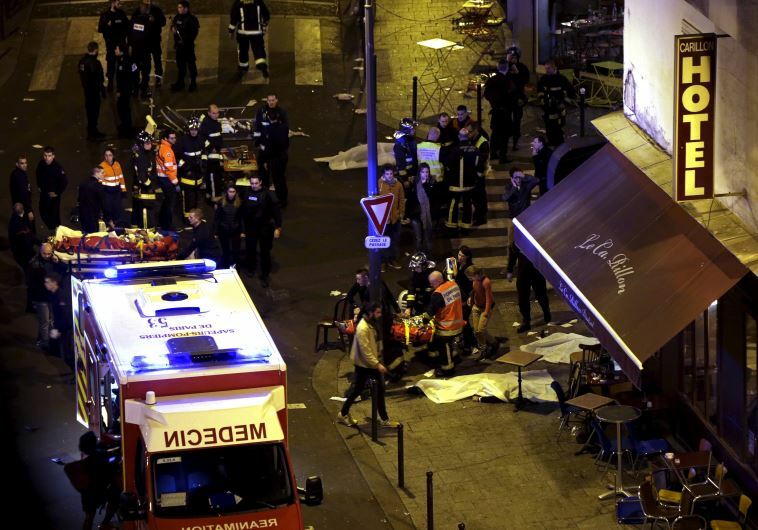 "The Bataclan theater, site of Friday’s deadliest attack, was until recently Jewish-owned, said Sellem. As the site of annual fundraisers for the IDF, it is frequently targeted by anti-Israel protests, phone calls and emails, he said". But how could the French Jewish community be warned about imminent terrorist attacks while French society was unaware of such attacks? The Intercept has reviewed 10 high-profile jihadi attacks carried out in Western countries between 2013 and 2015..., and in each case some or all of the perpetrators were already known to the authorities before they executed their plot. In other words, most of the terrorists involved were not ghost operatives who sprang from nowhere to commit their crimes; they were already viewed as a potential threat, yet were not subjected to sufficient scrutiny by authorities under existing counterterrorism powers. Some of those involved in last week’s Paris massacre, for instance, were already known to authorities; at least three of the men appear to have been flagged at different times as having been radicalized, but warning signs were ignored. But why were these warning signs ignored? Former DIA director Michael Flynn: It was a decision to fund, arm ISIS, source: Al Jazeera via Youtube. "New evidence emerging from the investigation into the Paris attacks points to a conspiracy significantly wider than the nine jihadi thought to have carried out the killings and that was orchestrated primarily by disaffected young Europeans." However, they focused on the circle of terrorists, their sympathizers and assistants, rather than focusing on a widespectral view. "For many, claims that the attackers belong to ISIS is a deal breaker. For these individuals, ISIS is a shadowy terrorist organization that supports itself and has created a caliphate in eastern Syria and western Iraq that can scarcely be defeated (except when the Russians bomb it). However, the facts do not support such a shallow understanding of the ISIS terrorist organization. ISIS was entirely created, funded and directed by the United States, Britain, France and other NATO countries. Its actions have been coordinated by the Anglo-American Intelligence apparatus for geopolitical purposes all across the world both at home and abroad. For this reason, the declaration that ISIS committed a terrorist attack in Paris is by no means a get-out-of-jail-free card for the Western Intelligence apparatus. Instead, it is the trademark of their handiwork. Please see these articles for more information on the nature of ISIS: here, here, here and here. While the information presented above may not be enough evidence to conclude that the Paris attacks were false flag attacks, it is reason enough to question the official story thus far. If these attacks are indeed placed in the lap of ISIS, however, all fingers should immediately point to NATO and the Atlanticist Intelligence apparatus. It is they who control ISIS and they who bear the responsibility for its actions." U.S. Propaganda: Works Or Not?